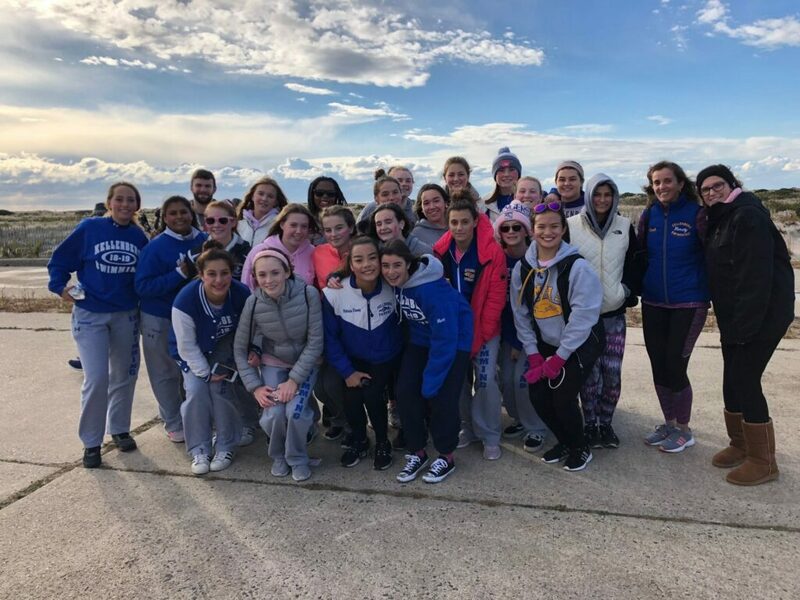 On October 21, the Girls Varsity Swim Team participated in the Making Strides Against Breast Cancer walk at Jones Beach. The team has come together to spread awareness for this cause. The team’s goal was to spread the hope and love they take from Kellenberg and show it in another way. The girls wanted to join in and strive against this cause with so many others for all the strong people out there who are suffering. As Kellenberg students, we have learned that Jesus sacrificed himself for the sake of us and to spread his love. We wanted to spread our love and hope for those who really need it just like Him which is why the Girls Varsity Swim Team participated in the Breast Cancer Walk.